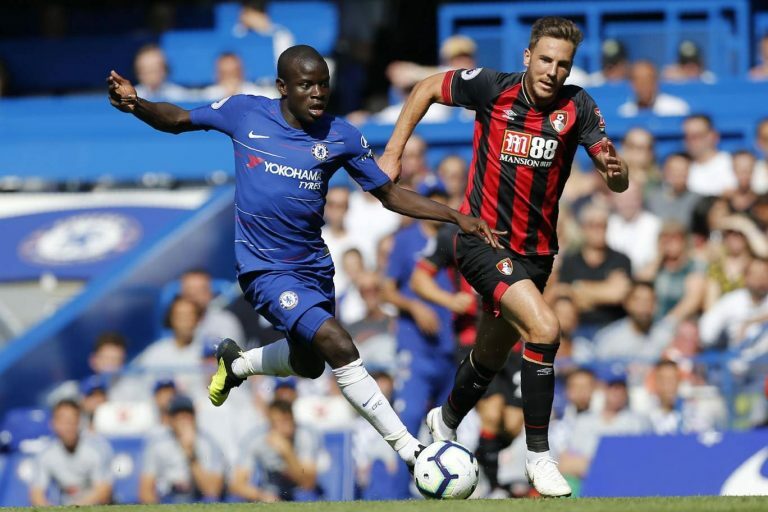 Chelsea star poised to sign new deal and become one of the best paid players in England - report N'Golo Kante is reportedly set to commit his future to Chelsea, despite links with Paris Saint-Germain. The Ligue 1 giants were reportedly keen to sign the midfielder this summer, but L’Equipe have claimed that the Blues have made a move which will hopefully put an end to any speculation of a potential exit. An arrival from Leicester City after playing a key role in their surprise 2015/2016 Premier League title winning campaign, Kante helped the Blues regain their status as the best team in England during his first season starring in their FA Cup final victory over Manchester United back in May. His performances for France at this summer's World Cup didn't go unnoticed either. In fact his compatriots dedicated a song in his honour after a brilliant performance in the round of 16 clash against Argentina en route to being crowned world champions. And it would appear he's set to be richly rewarded by the club's hierarchy. N'Golo Kante (Photo by FRANCK FIFE / AFP) According to L’Equipe - via Sport Witness - talks over renewing Kante's contract have started and it's claimed the discussions should 'end in the coming weeks’, that will result in the Frenchman staying at Stamford Bridge and receiving ‘one of the biggest wages in the Premier League’. A couple of months ago the Times claimed the new deal would worth around £290,000 a week, which would make him the club’s best-paid player - ahead of Eden Hazard. Meanwhile, Kante has spoken about the "challenge" of playing under Maurizio Sarri at Chelsea this season. After replacing Antonio Conte as Blues head coach in the summer, the Italian has moved the midfielder into a slightly more advanced position with Jorginho taking up a deeper role. "I am enjoying the role," he said when asked about life at Chelsea in a France press conference . "It is a new challenge for me. "I try to understand the move and the right players' combinations. I think we are doing well. "We need to keep working and keep improving and I think we can enjoy a good season together."